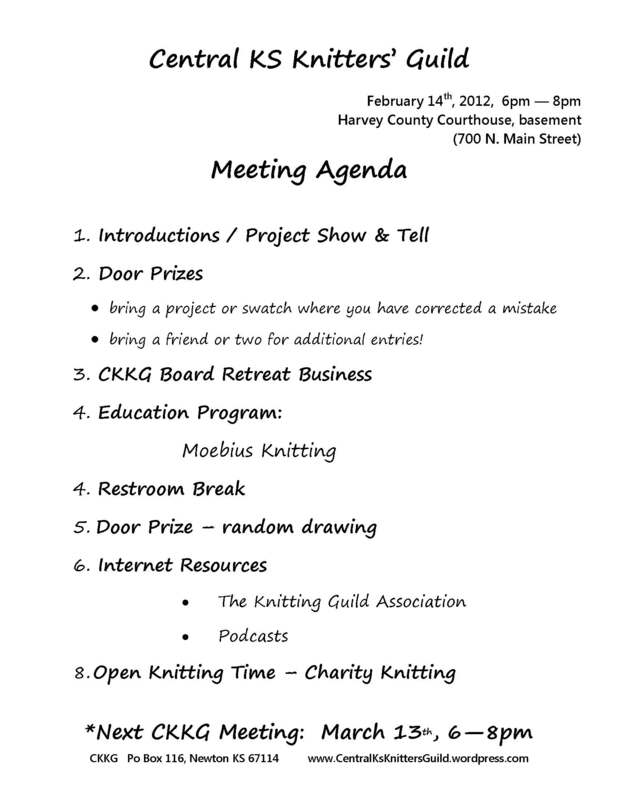 Join us for the February Knitting Guild meeting! CKKG meetings are now held on the 2nd Tuesdays. February 14th from 6-8pm at the Harvey County Courthouse (Newton, Main & 7th streets). We have an exciting agenda, Moebius Knitting, Internet Resources and several announcements! Also, bring friend or two to enter our special door prize drawing! You will receive 1 entry per guest you bring! *Please bring a circular needle at least 47 inches (or longer) in any size and extra yarn to the February Meeting!! Previous Previous post: January Meeting Recap! Can’t wait to see everyone at the meeting!